Kirsti Lonka is the Director of Educational Psychology Research Group. Her research community EDPsychHE was third best in the international research evaluation of University of Helsinki in 2012. Uutta luova opettajankoulutus – Sulautuvat oppimisympäristöt. / Phenomenal teacher education – Engaging learning environments Lonka, K., Lammassaari, H. M. W. & Kruskopf, M. Funded by the Finnish Ministry of Education and Culture. Kasvava mieli: Kasvatukselliset transformaatiot yksilöllisen, sosiaalisen ja institutionaalisen uudistumisen tukemiseksi digitaalisena aikakautena. / Growing Mind Hakkarainen, K., Korhonen, T., Lonka, K., Lavonen, J., Seitamaa-Hakkarainen, P., Juuti, K. & Salo, L. Funded by Suomen Akatemia Strateginen Tutkimus. Bridging the Gaps. Salmela-Aro, K., Lonka, K., Hakkarainen, K., Marttinen, E., Ketonen, E. E., Moisala, M., Mannerström, R., Hietajärvi, L., Maksniemi, E. & Shupin, L.
Learning 2 Be. Talvio, M., Berg, M. & Lonka, K.
SED -Sustainable Education Design funded by TEKES. Mind the Gap Between Digital Natives and Educational Practices. People: Lonka, K. (Principal Investigator), Hakkarainen, K., Salmela-Aro, K., Alho, K., Sjöblom, K., Hietajärvi, L., Ketonen, E., Makkonen, J. & Sandström, N. 01.01.13 → 31.12.16. Funded by the Mind Program of Academy of Finland. RYM SY – RYM Indoor Environment. People: Lonka, K. (Principal Investigator), Sandström, N., Sjöblom, K., Aarnio, A, Ketonen, E. & Vaara, L. 15.11.12 → 30.03.14(Salmi, V. O., Heiskanen, H. K. & . 01.05.11 → 31.12.2013). WP4 Task 1.1 Learning Environments. Funded by TEKES. Educational psychology, especially in higher education (EdPsychHE). People: Lindblom-Ylänne, S. (Principal Investigator), Lonka, K., Hakkarainen, K., Salmela-Aro, K., Löfström, E., Nevgi, A., Pyhältö, K. M., Vehviläinen, S., Hirsto, L., Toom, A. H., Katajavuori, N., Repo, S., Ruohoniemi, M., Virtanen, V., Postareff, L., Chow, Y., Hailikari, T., Parpala, A., Tuominen-Soini, H., Aarnio, M., Carlberg, M. T., Haarala-Muhonen, A., Heikkilä, A., Heiskanen, M., Henritius, E., Hyytinen, H., Keski-Koukkari, A., Litmanen, T., Mikkonen, J., Muukkonen, H., Nieminen, J., Pekkilä, S., Ruusunen, R., Asikainen, H., Seppälä, H., Keskinen, J. K., Talvio, M., Tukiainen, M., Vekkaila (o.s. Tuomainen), J., Westling, S. & Virtanen, P. 11.03.11 → …Research Evaluation 2011. Awarded by University of Helsinki, Finland. ELE – Engaging learning environments for teacher education. People: Lonka, K. (Principal Investigator), Heiskanen, H. K., Salmi, O. & Ketola, A. 01.12.12 → 31.12.12. Funded by the International Design Foundation and University of Helsinki. Collective Intelligence: How shared ”trialogical” knowledge practices augment human cognitive capabilities. People: Hakkarainen, K. (Principal Investigator), Lonka, K. & Pyhältö, K. M. 01.08.08 → 31.12.10 Funded by Academy of Finland. Becoming a Collaborative Professional. 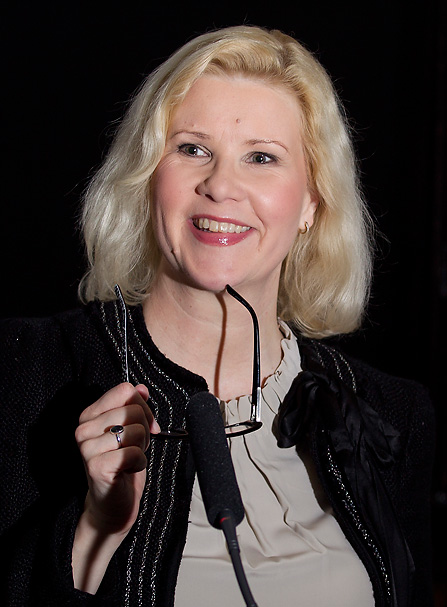 Lonka, K. (Principal Investigator), Hakkarainen, K., Salmela-Aro, K. 01.01.07 → 31.12.10 Funded by Academy of Finland. Mieli-Forum. People: Hari, R., Peräkylä, A., Ylikoski, P. K., Lonka, K. & Pyysiäinen, I. 01.01.07 → 31.12.09. Funded by Finnish Cultural Foundation. From Ph.D. student to professional researcher. People: Pyhältö, K. M., Keskinen, J. K. & Lonka, K. (Principal Investigator) 02.01.06 → … Funded by University of Helsinki. MED NORD – Medical Education in Nordic Countries. People: Lonka, K. (Principal Investigator). 01.01.04 → 21.12.11 Funded by Vetenskapsrådet, Sweden (2002-2004).